Cashblaster is now available on Android! FREE to download and Free to play! 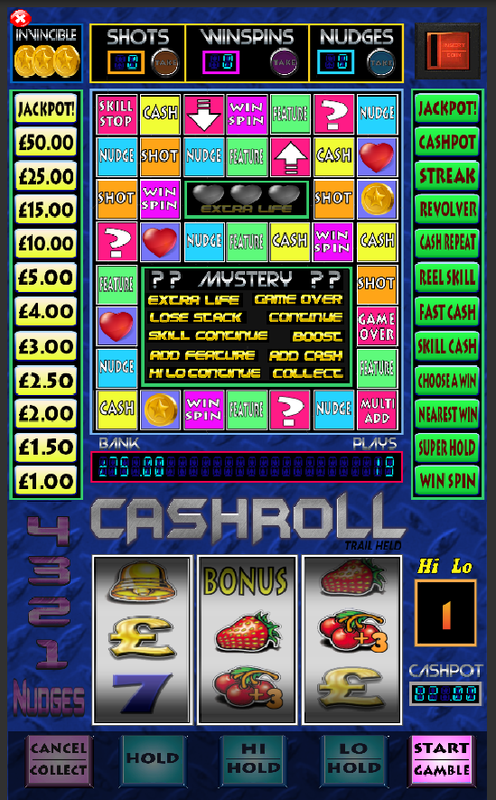 CashRoll, the pub fruit machine for Android, is now available on Android! NEW RELEASE! 17th April 2018! 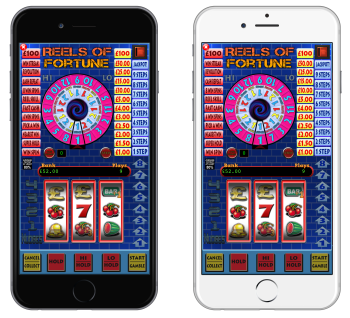 Reels of Fortune, is now available on Android! NEW RELEASE! 25th January 2018! 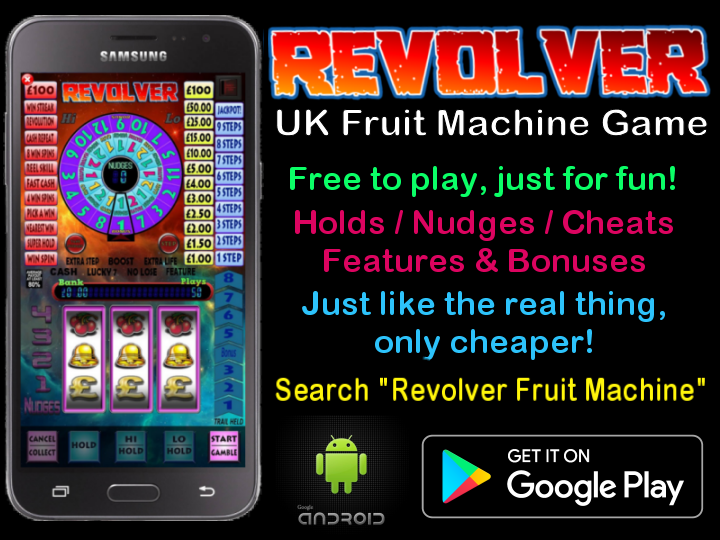 Revolver, the pub fruit machine game for Android! Click the image below to visit Google Play and download now! NEW RELEASE! 17th July 2017! Our first Hi-Tech fruit machine game for mobile devices. Includes plenty of features and bonuses to keep you entertained! Click the link below to visit the App Store and download now! Click here to view on the Apple App Store! Click the banner below to visit the App Store and download now! Click the banner below to visit the App Store and download now! 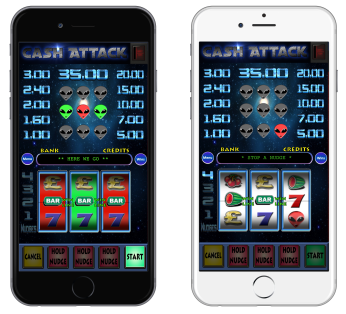 Or search for "Cash Attack" on the App Store. Click here to view on the app store..
Just 99p on the App Store! We are producers of the most advanced virtual fruit machine games you will find, anywhere. You will find many sites which offer Slot Machine downloads, but only a handful of downloadable Fruit Machine Games. Please take the time to try our games, you wont be disapointed. Welcome to Software Illusions, your number one source for realistic Fruit Machine games and Slot Machine games. Each of our games are created around real machines, and because of this they play and look exactly like them! Please feel free to browse our site and take a look at our games. In 1998, we stumbled upon an amazing fact.. We could find no software on the internet which could simulate a real UK style fruit machine. We found plenty of American style slot machine games, but nothing which resembled a modern European Fruit Machine. Software Illusions was formed. We began to create a fruit machine game for the PC which was in every way the same as a fruit machine you would find in your local pub or arcade. We added a separate feature board, lots bonuses and hidden games, and after a lot of hard work we had created a true Fruit Machine simulator. Splash Cash, our very first game was born and proved to be very popular with fruit machine players. Our second fruit machine, Encrypted, took the unique playing style of Splash Cash and built on it. Encrypted featured even better graphics and game-play. We added a "wraparound" feature board, extra bonuses and features, and immediately we had a hit. Since then we have been committed to creating more games, and over the years our product range has grown and the quality of our games has got better and better. We continue to update our fruit machine games, keeping them right up-to-date with all the latest advances within this exciting industry. © Copyright 2000 - 2017 including all of its content. Software Illusions, all rights reserved.